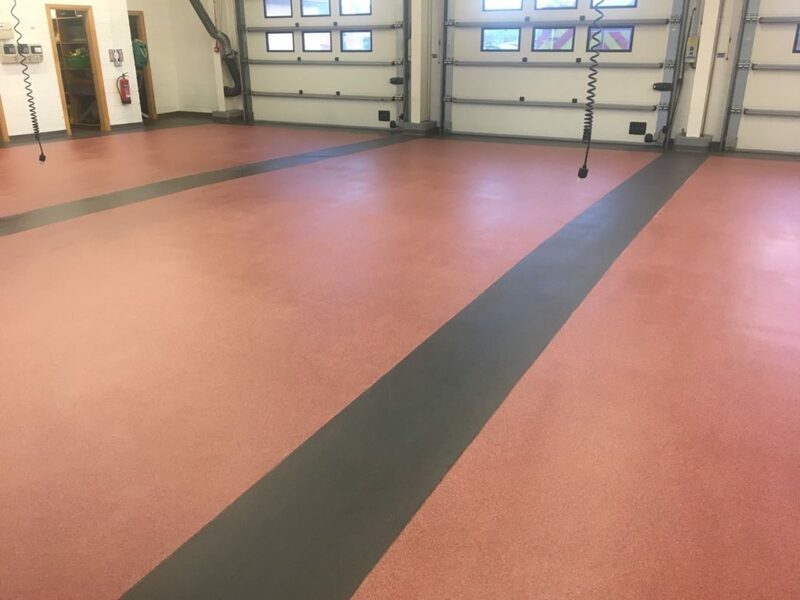 IFT recently installed screed and resin floor finishes to Huntly Fire Station on behalf of Mitie who have a five-year contract with the Scottish Police Authority (SPA) and the Scottish Fire and Rescue Service (SFRS) to provide hard FM services to their buildings throughout Scotland. 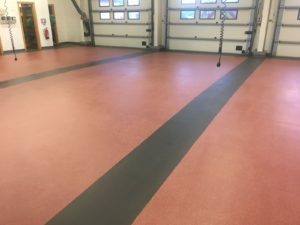 Huntly is one of nine fire station projects IFT has undertaken in the past four months for SFRS via Mitie. 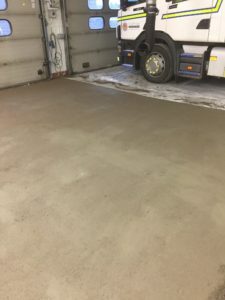 These works were to provide a new hard wearing Flowfast Quartz MMA resin floor finish to the appliance bays, to replace the existing quarry tiled finish which was prone to impact damage and debonding. 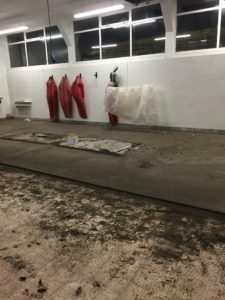 The tiles were either left in place and overlaid or where falls were required the tiling was removed and a polymer modified screed installed. 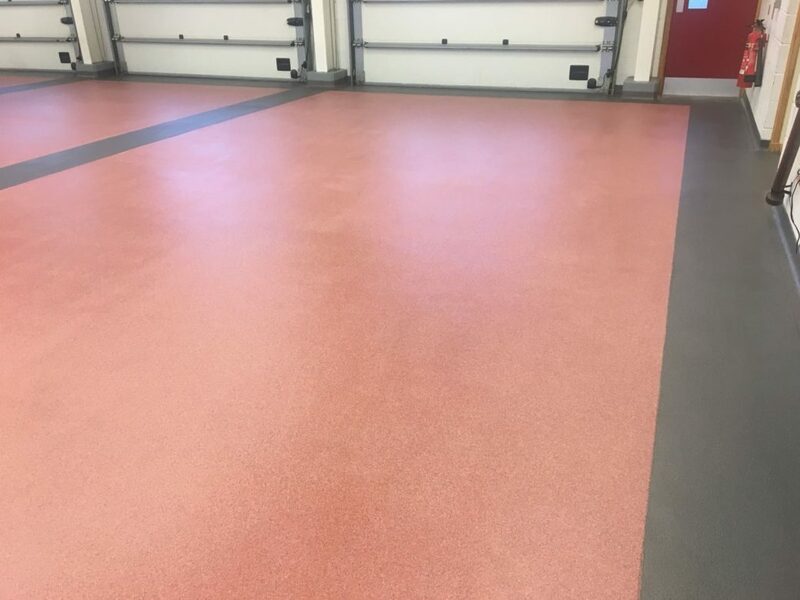 There is approx 2000sqm of flooring between all the stations. 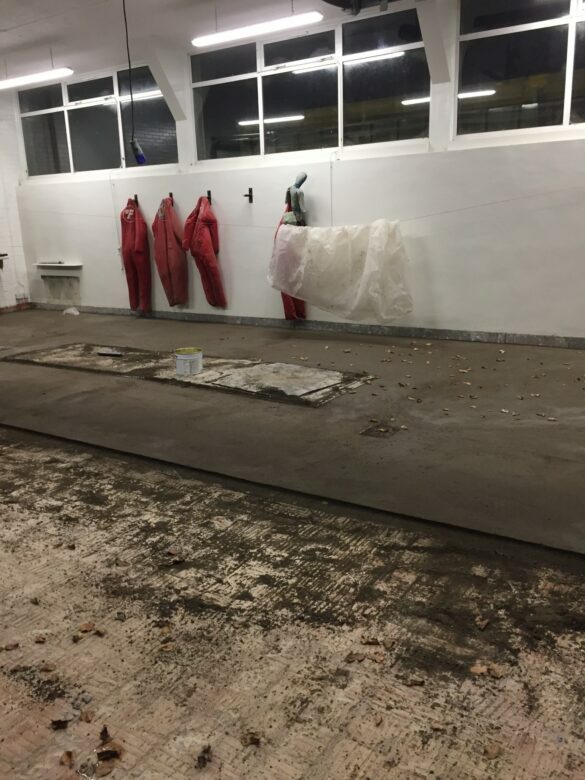 As the Fire Stations had to remain live, the team had to ensure they left two appliance bays operational at all times whilst working on the project. 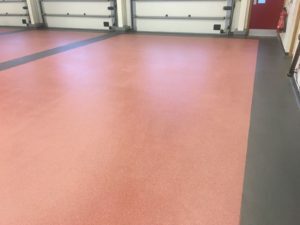 The rapid curing properties of the MMA resin floor finish allowed the bays being worked on to return to full service with minimum disruption to the Fire Service. Works were completed to a high standard in a challenging environment and prescribed timescales in various locations across Scotland. IFT were responsive to our client’s request for change with effective communication and knowledge from the contract managers. Would definitely recommend them!